Before visiting SPring-8/SACLA, project leaders are required to make visit arrangements by submitting online an Application Form for SPring-8/SACLA Facilities. Please be sure to inform the Users Office in advance in case of any change in the arrival date/time provided on the submitted Application Forms for SPring-8/SACLA Facilities. The procedures for research proposals are carried out at the first floor of North Building (Radiation Control Office and SPring-8/SACLA Users Office). The SPring-8/SACLA Users Office opens from Monday through Friday, 8:30 am ‒ 7:30 pm, except national holidays. 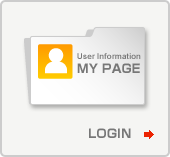 First-time visitors are required to upload a jpeg file of a photo of their face for their user card on My Page of User Information or to send the file by e-mail with the user’s name, affiliation, and user card ID No. to the Users Office email address before their visit. Safety training session is not available. Users are required to attend Safety Training Session on the first visit in each fiscal year (from April 1 to March 31 of the following year) as part of radiation worker registration process at SPring-8/SACLA. Please note that you cannot attend a safety training session after office hours and on weekends and holidays unless so specified on the submitted Application Forms for SPring-8/SACLA Facilities. From December 2017, safety training sessions for first visitors in the fiscal year start of predetermined times, as shown in the table below (the session duration is about 30 min as before). There will be changes to the duration of the radiation safety training course from FY 2019. 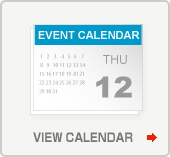 Moreover, the timetable will be changed due to start the e-learning system. For more details about the e-learning system, please refer to the here. While at SPring-8/SACLA, users are required to wear a dosimeter provided at the Radiation Control Office to measure the amount of radiation exposure. Radiation Control Office will check whether users, not only first visitors in the fiscal year but also return visitors, have brought a dosimeter provided by their home institutions upon their visits. Users who have not brought a dosimeter are not allowed to enter the SPring-8/SACLA radiation-controlled areas and may not be allowed to participate in or carry out experiments using SPring-8/SACLA beamlines. Please make sure to bring a dosimeter provided by your home institution. The measurement results will be sent to the radiation protection supervisor provided on the Radiation Worker Application Form (For External User / Supplier). Whenever you enter or exit the radiologically controlled areas, place your RFID tag over the reader; it automatically keeps a record of radiation worker entering and exiting the controlled areas, which is required by law, and the door will be unlocked. Dosimeters are for on-site use only, and cannot be taken off of the SPring-8/SACLA property. Please do not separate your dosimeter and RFID tag since they are managed as a set. Please receive your user card on arrival. 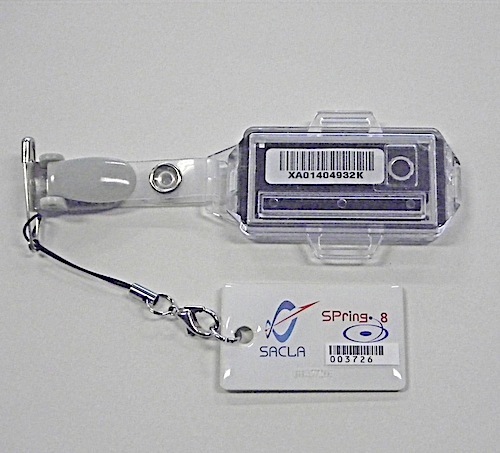 The SPring-8/SACLA User Card is used to ensure that the user has completed user registration and radiation worker registration. It also functions as a door key and allows out-of-hours access to the Main Building and the Storage Ring Building. To get inside, tap your card on the card reader. To get out, simply unlock the door (no need to unlock automatic doors). Please put the card in the card holder provided at the Users Office and always wear it on your chest. You must not lend or transfer your card to another person. User cards are for on-site use only, and cannot be taken off of the SPring-8/SACLA property. In case of loss or damage, please notify the Users Office immediately. Project leaders should be provided with the following documents upon arrival. Please submit them in the bottom slot of the return box before leaving SPring-8/SACLA. *This document is used to show the experiment status of each station. During the experiment, please post it on the notice board located at each station following the Beamline Scientist’s instructions. When the experiment is finished, return it to the Users Office. Please provide the Guest House extension number of each member. Please check in at the Guest House Front Desk between 4:00 pm and 10:00 pm. Please contact the Users Office in case of change or cancellation. For late arrival after 10:00 pm or last-minute cancellation, please contact the Front Desk at +81-(0)791-58-0933 (Ext. 8181). Please note that late arrival without notice may result in cancellation of your reservation. Please find the details for SPring-8/SACLA Guest House here. Users coming to SPring-8/SACLA by car need to have a vehicle pass request. Please download the request from the Required Documents page and fill out all the required information well in advance of your visit. Please download the Vehicle Pass Request from here. When you get to the Main Gate, please provide identification (employee/student ID card, driver’s license, etc) and submit the completed vehicle pass request to the guard house to receive your vehicle pass. During your stay, slow down/be ready to stop and show your pass to the security guard when approaching the Main Gate, so the guard will know that you are granted access to the SPring-8/SACLA site. Please make sure to leave your pass clearly visible on the dashboard at all times while parking in the SPring-8/SACLA site. If your pass is lost or damaged, please contact the Users Office immediately. When you leave SPring-8/SACLA, please do not forget to return your pass to the guard at the Main Gate. The Users Office contacts you in the case where you bring into SPring-8/SACLA radioactive materials (with an activity not exceeding the maximum allowed by law) or samples containing uranium/thorium, which require the safety office check or special registration. When you come to the Users Office, please notify us if you have such materials/samples and go through the safety office check. If the safety of experimental samples and devices has been confirmed with the submitted documents, the safety office check is not required. When you need to visit SPring-8/SACLA for experimental setup, please contact the Beamline Scientist in advance and send an Application Form for SACLA Facilities (Form 10) to the Users Office by email or by post. Please note that you may not visit SPring-8/SACLA unless the form has been submitted. Please download the Application Form for SACLA Facilities (Form 10) for Experimental Setup from here.